clean finish. 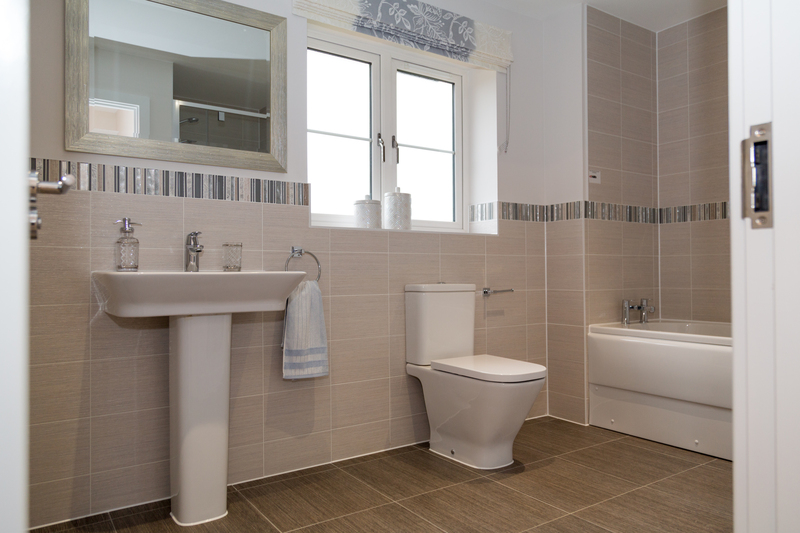 Contemporary styled bathrooms have white sanitary ware, complimented with chrome taps, shower fittings and the latest wall and floor tile designs from British Ceramics. Individually designed lighting and heating systems ensure the most economical and sustainable use of energy. 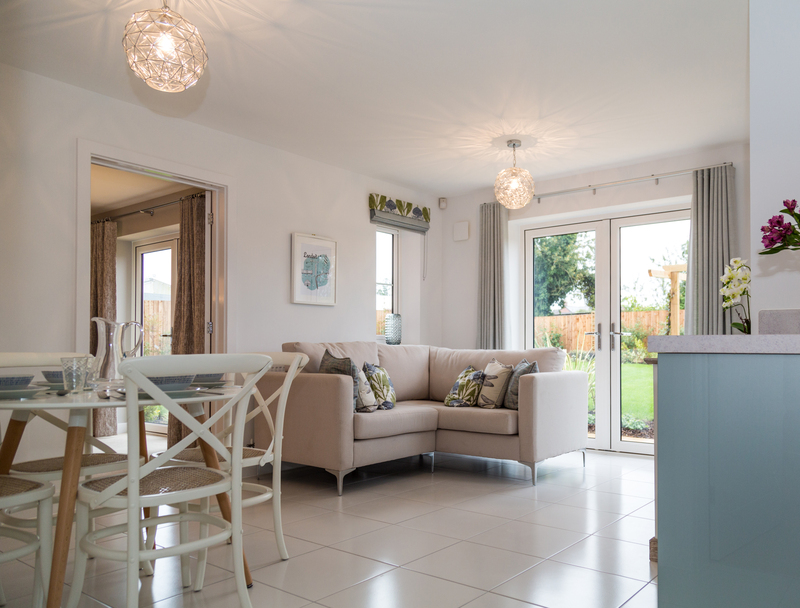 These homes are full of the features you would expect with plenty of double sockets and a television point to each bedroom. Contemporary downlights are provided to kitchens, bathrooms and en-suites. A high efficiency gas fired boiler provides the central heating and hot water to each property and thermostatically controlled radiators allow flexibility in the heating of your new home. 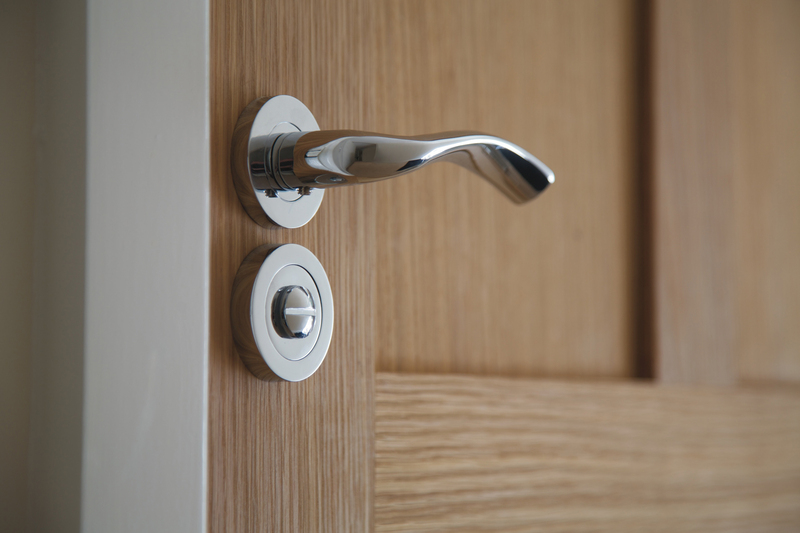 Bathrooms and en-suites also benefit from heated chrome towel rails and shaver points. Using the best quality materials and systems available provides an economical, sustainable and efficient modern living environment. and traditional materials. 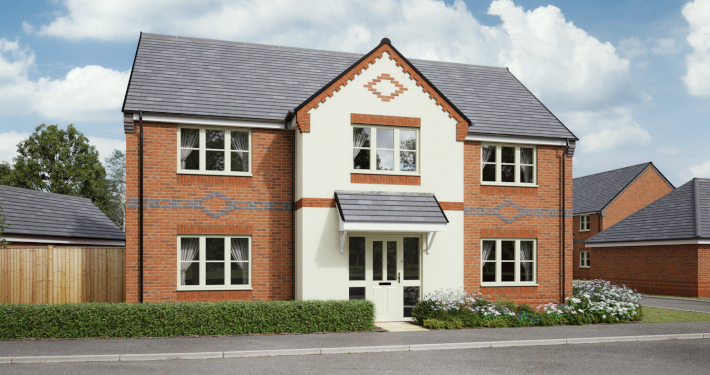 Information relating to the external finishes of individual properties will be available from the selling agent. 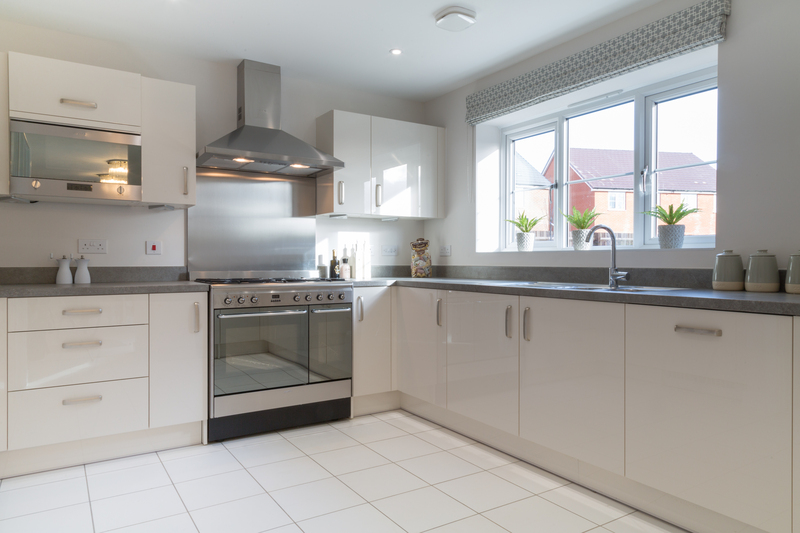 With Hills Homes, safety is paramount and the systems are enhanced by mains operated smoke detectors, carbon monoxide alarms and a heat detector in the kitchen too. External doors feature multipoint locking, while the front doors also include an eye viewer, letter plate and security chain.